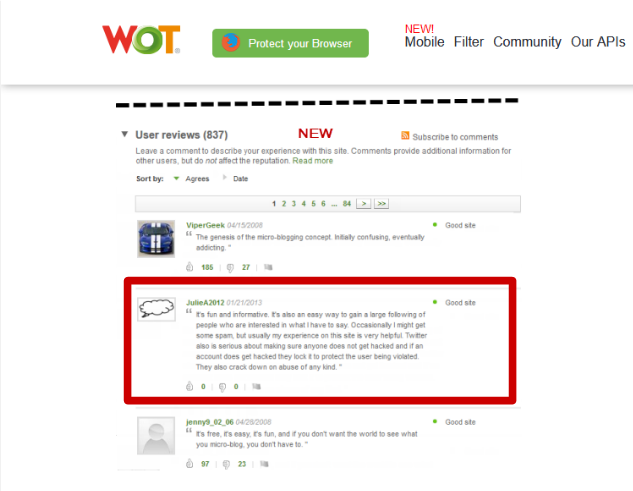 With the release of the new WOT extension, our users have been first introduced to the all-new design and rating flow. We are now planning on updating the scorecard to the new design so it will be present everywhere, not only in the extension. We understand this change might be difficult to ‘digest’ for some users, and are also aware of the existing issues with it. However, please understand that this is only a starting point. This change is the first of many to come, where we’ll be doing our best to implement your feedback and requests. We are already working on an improved version which will help the rating flow feel closer to the one used in older versions, as requested by many. As said, we’ll be more than happy to hear your feedback, suggestions or any kind of input on these changes via support@mywot.com as we take your feedback very seriously. Your patience and understanding will be much appreciated. Please remember that this is only the first version of this new scorecard and rating flow. It will be improved and will get better and better with your feedback. Thank you and looking forward to hear your thoughts. Please re-enable commenting in the add-on and make sure the add-on saves ratings under the user's WOT account. Please fix the DM counter on the site. Explain why the new add-on rates differently than the old one - it appears it now only has 3 colors instead of 5, and requires a particular amount of confidence to work correctly. 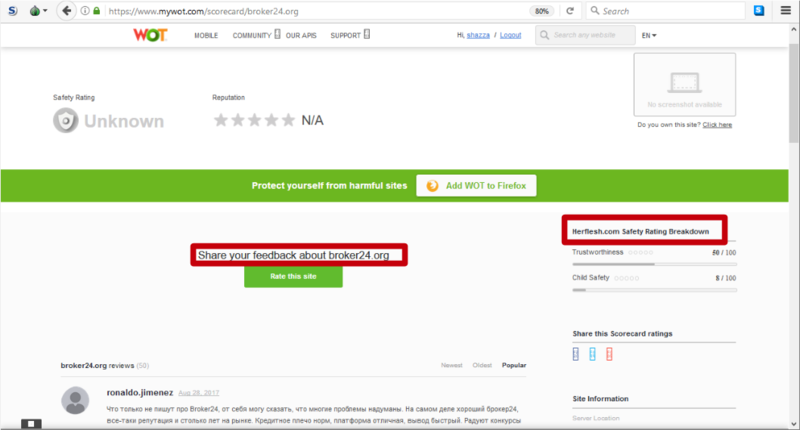 Also explain the difference between the Security and Reputation ratings (reputation appears to be scorecard trust divided by 20). As members' ratings will now be interpreted differently from when they were given you should reinstate the zip file download for members who wish to delete all their previous ratings. 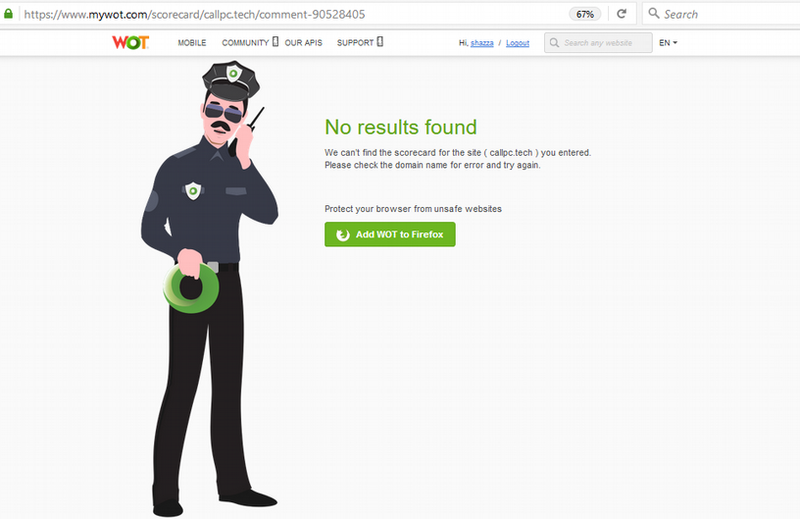 'Protect yourself from harmful sites Add Wot to ....' section on the scorecard is annoying and would look better in a different position. (if we don't have enough download links without it). All scorecards for new TLDs added in 2016 are lost. The New WOT needs to be integrated in all our existing ratings. All my old ratings are not showing up on the new scorecard, and a rating I just posted is not showing up in the "My ratings" tab of my account. So a comment from a banned microworker which shouldn't even be there, is considered more 'relevant' than some others because it's longer? It appears that scorecard comments from banned users and deleted accounts have been restored to scorecards. Scorecard comments display the user name that the member had when writing a comment, not their current user name. Thanks everyone for your feedback! We are aware of the issues mentioned here and are working on fixing them as soon as possible. Issues??? It's a disaster and you haven't even bothered apologising to members who were trying to hide their original username. Is there now no way to rate yellow? Only red or green? Tried rating a site 3 stars and it showed a red donut for my rating. There is no in between for is this site safe? The only fine grained rating tool left is the MRT but (1) it is platinum users only, and (2) does it still work? Also do new ratings count towards the activity score?